Dortmund - Borussia Dortmund have confirmed the signing of Swiss international goalkeeper Roman Bürki from relegated side SC Freiburg. The 24-year-old is BVB's third major summer recruit, following the arrivals of Gonzalo Castro from Bayer 04 Leverkusen and Julian Weigl from Bundesliga 2 outfit 1860 Munich. 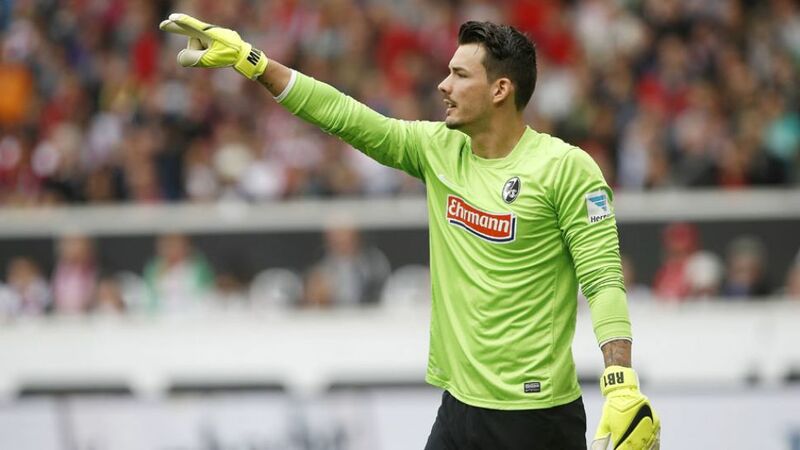 Bürki, who has two full international caps for Switzerland, moved to Freiburg from Grasshoppers Zurich last summer and had an outstanding debut season in the Bundesliga, saving over 76 per cent of all shots fired at him. Nevertheless, even he was unable to prevent the Black Forest side slipping down to Bundesliga 2.